Improve ability to deliver IT security functions to mitigate potential data breaches and other cybersecurity threats. Leverage strong executive & board support to build up IT security department, institute a cybersecurity culture, & emphasize cyber-threat awareness. Approx 30 risk remediation & training projects strengthened the organisation’s cybersecurity posture & raised cyber-risk tolerance to a higher level. 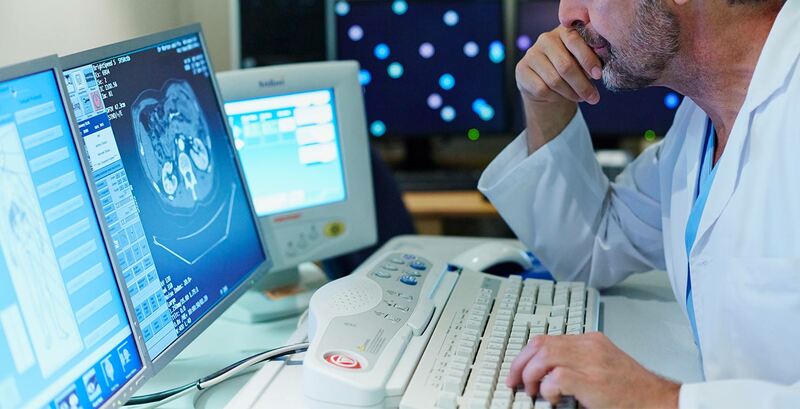 Over the last several years, the growing number of cyber attacks has exposed the lack of IT cyber defenses across all industries, but healthcare organisations have been perhaps the least prepared. This is made clear by the frequency, size and impact of healthcare breaches, and the fact that many of these breaches are revealed to have gone on for months before being discovered. Recognising these threats, a healthcare organisation with significant hospital and physician group operations across the U.S. and globally reached out to Protiviti to assess its cybersecurity capabilities. The organisation was achieving annualised growth of 20 percent through expansion and acquisitions, but it recognised that the increase in security demands that accompanied this growth was straining the IT department’s ability to prevent cyber attacks. The last thing the organisation wanted was to end up in the news as the next healthcare cybersecurity failure and wrestle with the subsequent financial, regulatory and public relations nightmare — so it engaged Protiviti to help. Using leading industry standard ISO 27001/2, Protiviti conducted a three-month assessment that uncovered several significant cybersecurity weaknesses. At the root of these issues was an underfunded and understaffed IT security department that was operating in a reaction mode and had no time to assess threats proactively. That fueled doubt about the department’s ability to protect digital assets and led to attrition among overburdened and demoralised IT security staffers. Measured by the Carnegie Mellon Capability Maturity Model (CMM), the organisation’s cybersecurity risk tolerance levels were well short of the healthcare industry average. The alarming picture that emerged from the assessment galvanised the healthcare organisation’s executive team and board of directors, who threw their support behind an ambitious Protiviti-designed programme and training strategy to remediate weaknesses and mitigate threats. Aware that organisations are inherently resistant to change, executives committed to top-level sponsorship of the programme to ensure its success. The decision to hire a chief information security officer (CISO) in a newly created senior executive position underscored the client’s dedication to strengthen the division, emphasize its importance and make it accountable. It was a commitment that was evident early on when company management asked a Protiviti team member to step in as interim CISO before a permanent CISO was hired. Protiviti worked with the organisation to initiate nearly 30 major tactical and strategic risk remediation projects, including implementation of several data protection technologies; mitigation of vulnerabilities across desktop computers, laptops, servers and other devices; enhancement of third-party risk management; and bolstering of database and identity management security. Protiviti’s cybersecurity experts are continuing to provide ongoing vulnerability testing and are spearheading improvements in medical device security, among other current initiatives. While many companies often find change “on the ground” difficult due to the ingrained habits of personnel, the organisation’s backing of employee training plans has played a pivotal role in the cybersecurity improvement programme. Creating a meaningful message without being overbearing proved effective in helping the organisation’s personnel realise that changing behaviours and honing awareness were essential to protecting sensitive information and minimising liability. Cybersecurity and cyber-awareness training included on-demand, web-based education of nurses, doctors and others about the dangers of clicking on potentially malicious links or providing credentials to unverified associations or organisations. An important success factor in this project was access to experienced resources to supplement IT security staffing needs. Some of those workers, placed through Protiviti’s managed business services partner Robert Half, transitioned to become full-time employees of the organisation. With the additional hiring, the department saw a roughly fourfold increase in staff, corresponding to the company’s rapid growth in new markets. These measures have strengthened the healthcare organisation’s cybersecurity posture substantially. The company now boasts robust remediation and mitigation capabilities and strong awareness of digital threats. Identity management risks have declined by 53 percent, and the ability to recognise phishing campaigns has more than doubled compared to 2015. The enhanced cybersecurity capabilities of the IT security department and its proactive operating approach have earned it the confidence of its stakeholders in the organisation, and staff attrition is at a minimum. Most impressively, the organisation’s CMM ranking has risen to a level that is now at the high end of the healthcare industry average. None of these advances would have been possible, however, without the client’s executive-level drive and commitment to transform its IT security department from industry laggard to an industry leader.